Home Tags Posts tagged with "ella fitzgerald"
Bandleader, conductor and author Van Alexander has died at the age of 100. According to Variety, Van Alexander died of heart failure on July 19 in a Los Angeles hospital. Van Alexander played an important role in Ella Fitzgerald’s career, co-writing her first big hit, the nursery rhyme-inspired A-Tisket, A-Tasket, in 1938. He went on to write and arrange music for Bewitched, I Dream of Jeannie and The Dean Martin Show. Born Alexander Van Vliet Feldman in New York in May 1915, he was taught to play the piano by mother, a classical pianist. Hired to write arrangements for Chick Webb’s big band orchestra, he went on to form his own band in the late 1930s. 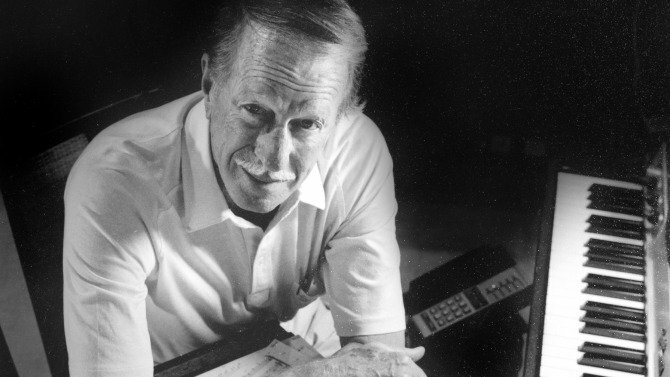 After moving to California in 1943, Van Alexander found a new outlet in underscoring – the provision of background music for film and TV productions. His work on Mickey Rooney’s TV show led him to compose music for a number of the actor’s movies, among them 1957’s Baby Face Nelson. In the 1970s, Van Alexander was nominated for three Emmys for his work on such TV variety shows as Gene Kelly’s Wonderful World of Girls. Van Alexander won a lifetime achievement award in 2002 from the American Society of Composers, Authors and Publishers (ASCAP). His 100th birthday was marked in May by a celebration attended by more than 200 family members and friends, at which he said his “wonderful life” had been “blessed”. Van Alexander, whose wife Beth died in 2010, is survived by two daughters, four grandchildren and 14 great-grandchildren.